Champion Materials Handling Limited is a leading expert in the hire, sales, training and servicing of Champion forklifts, trucks and material handling equipment. The company was founded in January 1995, with a view of bridging a gap in the mechanical industry. Our aim is to always provide independent advice to customers in combination with a quality personal service. At Champion Forklifts our success is down to placing the needs of our customers first. From helping you choose the right equipment to delivering an after sales service that is second to none, everything we do is focused on helping you achieve a more profitable business. CESAB products cover the full range of materials handling applications, including loading and unloading, receipt and dispatch, horizontal transport and stacking. So we can offer you a total solution to your materials handling needs, including a full range of electric, diesel and LPG forklift trucks along with a comprehensive range of warehouse equipment and used equipment. 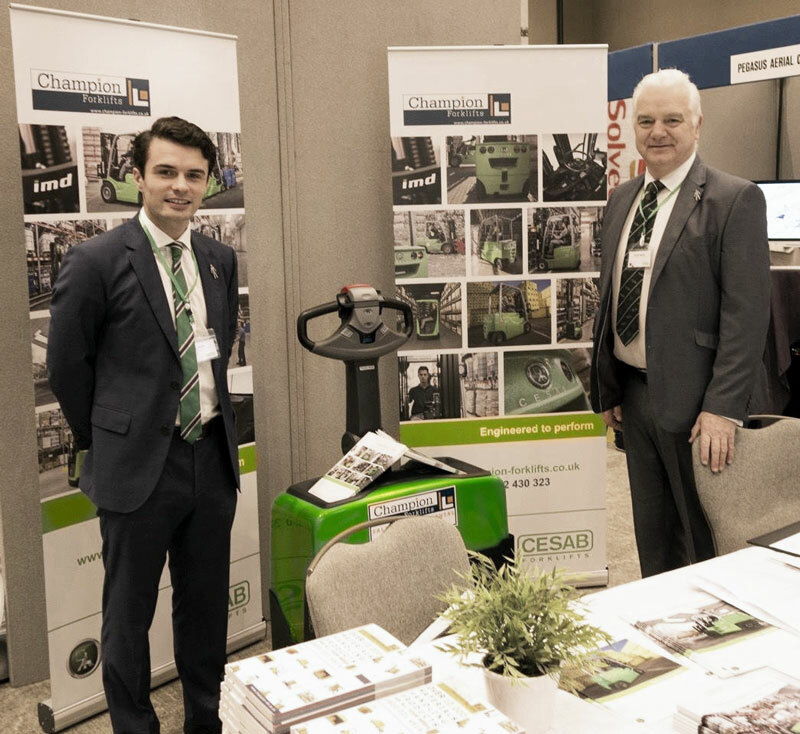 At Champion Forklifts, our expert team can offer advice on both a strategic and operational level to help you get more from your resources. From choosing the best truck to meet the unique demands of your materials handling operation to offering a range of flexible finance packages, we work in partnership with your team. This ensures that you have all the facts that you need to make an informed business decision helping to make your company more efficient and profitable.